I am now in the market for a double stroller, since in a few months we're awaiting an addition to our family. After obsessively researching all available options, I got as far as deciding on a side by side stroller rather than a tandem. Hopefully, the better weight distribution in a side by side stroller will make it easier for me to push and turn corners. As a side note on tandems, strollers where the back seat is bellow the front, practically under your feet, are my pet peeves. It may be comfortable for a parent to push (arguably), but there's so much dust and pollutants closer to the ground. Why would you want your baby sucking all that up? Plus, it's just not fair that one child always has to look at the other's behind. 2. Relatively narrow (but not uncomfortably so) frame. 4. Multi-position seat recline with flat option. 7. Adjustable leg rest -I'm a big believer in kids sleeping with legs outstretched, not hanging down. 16. Car seat and bassinet compatible would be an added bonus but not a deal breaker for me. 17. The price of the stroller should not break the bank (ruling out all Bugaboos). Phew! I think I covered it all. None of the strollers I've seen have all of the above features, which means I have to settle for something less than ideal, which means I will probably be agonizing over my choices till my toddler will grow out of strollers all together. There's a tiny little flint of hope that at the ABC Kids Expo in September, some stroller brand will surprise us with a new model that will be sheer perfection. But, what are the odds? So here are my choices so far. If anyone can present me with more options that would fit the bill better, please do! On a plus side, it does come in a variety of attractive colors, the fabrics are good quality, the handle, recline and foot rest are easily adjustable and there are individual bumper bars and all terrain wheels. A bassinet and car seat adapter can be purchased separately. This stroller is so close to perfect, it's just a shame that it stops short. 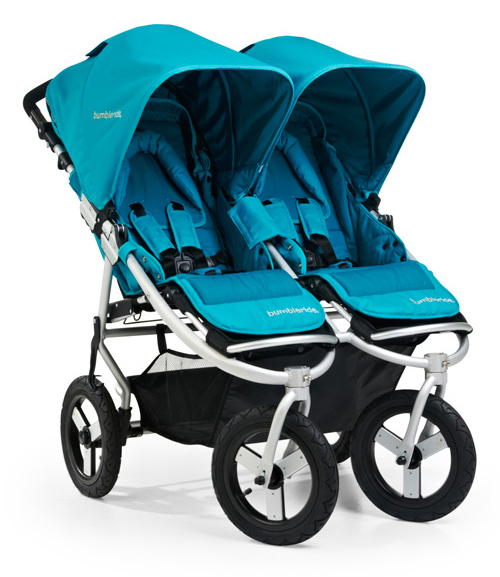 If only Bumbleride updated the leg rest like on a single Indie, extended the canopies and made the stroller just slightly narrower, I'd overlook the annoying fold and the outrageous price. 3. The seats are narrow and shallow. 5. Only comes in 2 colors, neither one of which appeal to me. Looks way too utilitarian. Width - only 25 inches! That's really awesome for navigating the urban jungle. Not sure how comfortable the narrow seats are for a growing toddler though. I would have to test drive it in the store to see. Adjustable handle. Construction seems to be quite solid. 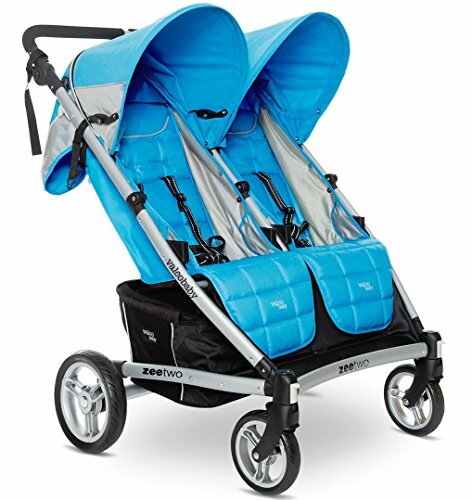 Please Mountain Buggy, for 2015 make this stroller in aqua or ocean blue with an adjustable leg rest! Awesome suspension! While most strollers with air tires have a soft ride only due to the bounce of pneumatic wheels, this one has the added suspension springs in the back. All reviews state that this stroller is made to very high standards and pushes like a dream. I like the canopies with flip out mesh visors. It's also one of few side by side strollers that can accommodate two car seats (not a feature that I personally need). Though this stroller goes against my better judgement as it's a huge tank, I am a sucker for quality. It's a bummer that I can't find the ocean blue color, which is my favorite, anywhere in the US. 1. Not all terrain, but a decent push with front and back suspension. 2. Not crazy about any of the color options. 3. Doesn't seem to be very durable. Disturbing amount of negative reviews in regards to quality. This stroller seems to have everything I'm looking for: Independently reversible seats, two flip-open bumper bars, flat recline, adjustable leg rest and handle. Canopies are awesome with a flip out visors and mesh insert in the back. You also get a lot of extras with this stroller that other companies sell separately: rain cover, mosquito nets, two foot muffs and a matching diaper bag. 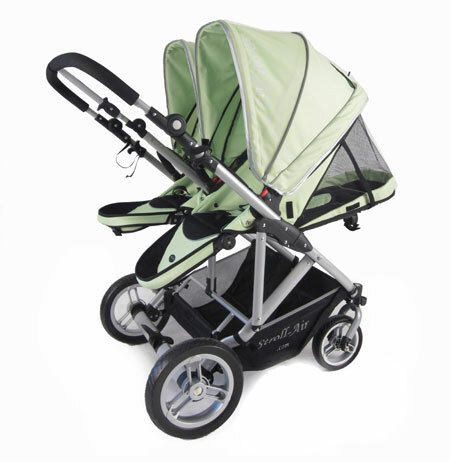 The stroller can accommodate two car seats or bassinets. Everything sounds amazing, but the quality glitches make me very nervous. 3. Though I haven't seen this stroller in person yet, I have a feeling the quality of fabrics may not be up to my standards. At 28 lb, this stroller is much lighter than my other choices. I love the fact that the leg rest is adjustable without sacrificing leg room. The foot rest is way down there, leaving plenty of room for growth. Individual bumper bars and adjustable handle. The stroller can also be rolled like luggage when folded. Wish it had all air tires and better fabric. Another amazing stroller in desperate need of a redesign. 3. Handle is not adjustable, though the high happens to be just right for me. 5. Only 2 backrest positions - sitting up or reclining. What is this, 1970's Russia? 6. Small sun canopies. The single Coco stroller is equipped with a huge, gorgeous canopy, I don't understand why the double can't have the same. 7. Short distance between the seat edge and footrest. 8. Currently this stroller is only available in Japan and Hawaii. However, there's some hope that perhaps in 2015, Air Buggy will make it to US mainland. Though this stroller is seriously lacking in many areas, it does have some extremely redeeming qualities. 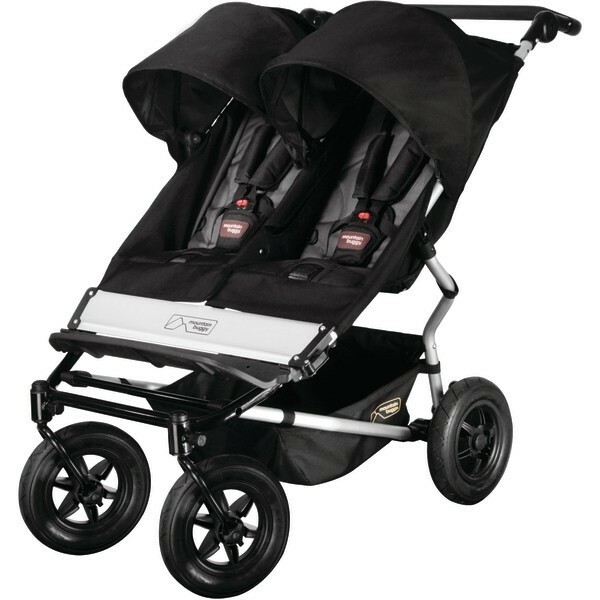 At 28lb it's one of the lightest all-terrain double strollers that I've seen. The Zee Two is also 28lb, but it has many more plastic parts and lacks pneumatic wheels. Air Buggy is made solid and is known for a super smooth ride. It's slightly narrower (28 inches) than all other options with the exception of Mountain Buggy Duet. 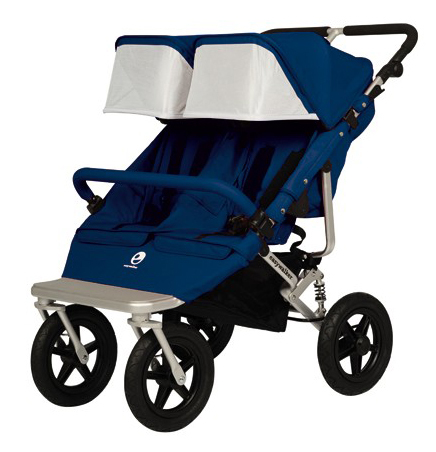 The fabrics are high quality and the stroller is easy to fold. If only Air Buggy would update the canopies and bring the recline options and mechanism into the 21st century, I would overlook all of it's other minuses and this would be my stroller of choice. Some of you may wonder why Baby Jogger City Mini GT is not one of my choices. 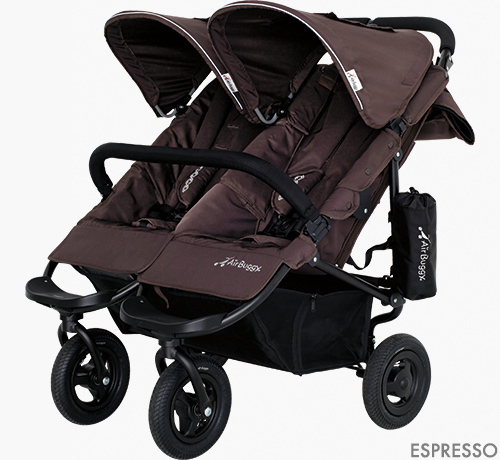 After all, it closely resembles Air Buggy Coco Double, only with larger canopies, an adjustable handle and more leg room. Sadly, despite the immense popularity of Baby Jogger, it is not up to my standards. Too many plastic parts and the stroller doesn't actually provided a smooth ride. Strangely, despite the air filled tires, the GT is seriously lacking in suspension. I test-drove my friend's stroller and noticed a very stark difference over my Bumbleride Indie single. You may argue that the difference in wheel size give Indie an advantage, but Air Buggy disproves this theory, providing a perfectly smooth glide over any surface on it's 8 inch wheels. Also, at 32 lb and 30 inches wide, the GT really has no advantages over Indie Twin, which is only 2 lbs heavier. Another thing I dislike about the Baby Jogger are the fabrics. Perhaps some parents appreciate that the seat is hard-wearing and easy to wipe clean, but I would feel bad making my child sit on that stiff, squeaky, stifling nylon with zero breathability factor. Once again, I was spoiled by the absolute luxurious fabrics on my mini Aprica stroller and there's just no going back. True, better fabrics may take a little more maintenance, but I have no problem removing the seats and popping them into a washing machine when necessary. I also did not mention any of the numerous stroller brands that make double strollers with three wheels instead of four. Tipping over a double stroller when coming down a curb is not something I ever want to experience. Hence, I stick with four wheels. So, dear readers, if you have any experience with any of the above strollers, or can suggest another option, do chirp in! When is the abc expo? Should I wait to get a side by side double to see if anything great is coming? I have the city select and am so done with using that for my tall 2 1/2 year old son and 13 month daughter. Sorry for the delayed response. Did you end up trading in your City Select yet? Are you looking for a tandem or side by side double? Nada, I'm also 5'2"! I agonized over my choices till my daughter was two months old. I will post reviews shortly of all the double strollers I ended up test driving. My first choice was the Valco Snap Duo in the denim color. Unfortunately I couldn't wait for it because it will only be available in the Spring. Since your baby is due in April, it might be a good choice for you. The black version of this stroller is already in stores. It's very light, easy to fold and has some features the GT and the Citi Mini lack, like adjustable leg rest, bumper bars with gate opening and a bassinet option. You can see pictures of the stroller on Valco Baby's facebook page.